I grew up not really eating much zucchini and it wasn't until I got older that I learned how delicious they are. 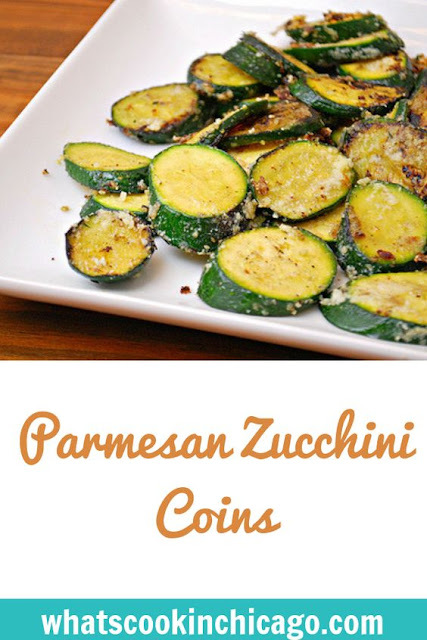 We usually just grill them during the warmer months but this recipe allows us to enjoy zucchini all year round. The original recipe calls for panko, but at the time I didn't have any on hand. I improvised slightly and just coated the zucchini with parmesan, basil and garlic powder before baking. Despite not having any panko, this makes for a great and easy gluten free recipe too! Combine first 3 ingredients in a small shallow bowl. Place egg in a separate shallow bowl. Cut each zucchini in slices; dip zucchini in egg; dredge in parmesan herb mixture; pressing to coat. 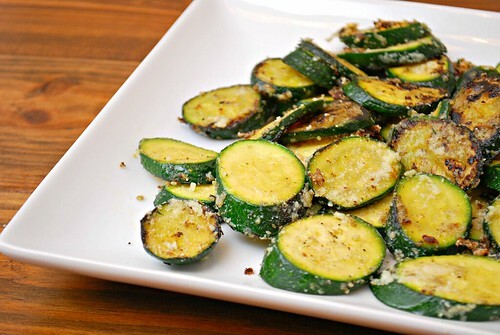 Place zucchini on a baking sheet coated with cooking spray. Coat tops of zucchini with cooking spray. Bake at 450° for 20 minutes or until golden brown. Serve immediately.